Emotions are tricky. They’re our most valuable asset, but without the proper tools to heal them they can also become incredibly confusing pains in our bodies. You know what’s even trickier? 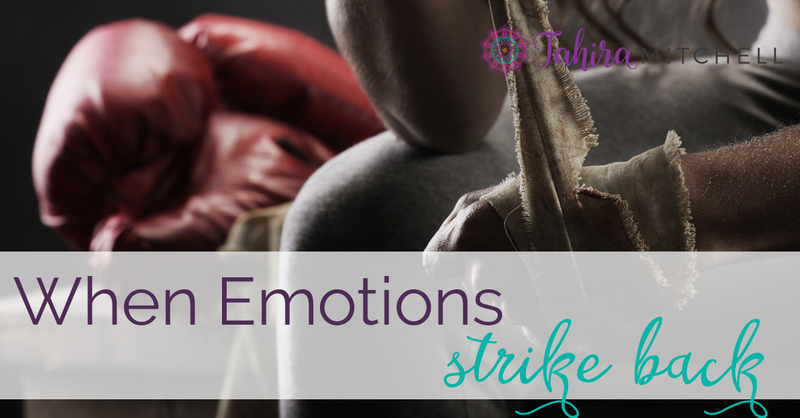 Emotions can lay dormant in our bodies for years, decades even! Someone or something (a person or event) may have hurt us when we were children, but without the ability to process that emotion we suppress the hurt we feel. We store the pain within us. In a closet. With a trap door that’s easily unleashed under the right circumstances and by the people with the right set of keys. That’s when it feels like our emotions suddenly attack! Which can set us into a state of panic. BUT, if we can build awareness around the emotions, we can put ourselves more at ease just by understanding where they’re coming from and why they’re appearing. I was able to build awareness around my emotional attack by spotting my TRIGGER, analyzing my BODILY SYMPTOMS, and MAKING THE CONNECTION. A few years ago, I was pulled over for a minor traffic violation. No big deal. I would get the ticket, learn the lesson, and move on with my day. First, I had zero clue why he’d pulled me over to begin with. In my heart, to my knowledge, I’d done nothing wrong, but he insisted that I was following too closely behind another car. I assured him I wasn’t, but it didn’t seem to matter, he found a new reason for pulling me over: speeding. I was thoroughly confused at this point. I knew for a fact that I was not speeding, and I wanted to fight my case. This particular police officer was not having it. He shut me up and shut me down fast. SOUND THE ALARMS! My inner SIRENS were spinning! I don’t know about you, but when I’m not heard I flip! I felt it in my body first. My body tensed up. I felt my insides shaking, jittering with anxiety. As I continued to speak, my voice quivered. The lump in my throat was so large I thought I’d explode. These symptoms were not foreign to me. They’re symptoms I’ve written about in my eguide. A simple ticket, a simple interaction, had caused my body to go into panic. It was no longer about a ticket at this point, it was about how this one police officer was treating me as a human being. He, in his choice to discredit me, shut me down, and shut me up had become an authority figure. Not just any authority figure either, but one on a narcissistic power trip. He managed in one short interaction to make me feel inferior, horrible, dumb, stupid, and immense self-doubt. All of these emotions came at me at once, hitting my gut like a Mack Truck. Have you seen those trucks? They’re HUGE. How could this person I had never met before make me feel such a profound amount of pain? These weren’t normal feelings of annoyance, this was an EMOTIONAL ATTACK. This was an emotional attack from the past. This police officer’s demeanor had sent a message to my body. It had opened up my emotional closet, and something really heavy had come tumbling out from the past. Why did this officer make so upset and anxious? Why did I feel SO stupid? Why did I feel insecure? What was it about how he treated me that set me off? THERE IT WAS… in plain sight. This police officer was a modern manifestation of some of my childhood experiences. As a child, I felt doubtful of my feelings, and insecure. I was often unheard and shut down even when I knew in my gut to be true, instilling these feelings of doubt and insecurity. I could never fully trust what was said as it would manifest into something different. Trusting was hard for me. Now, here before me was an authority figure I should also trust. Police officers take an oath to protect and serve, after all. But this officer was telling me that what I knew to be true in my gut was wrong. He told me one thing, that I was following too closely, and then told me another, that I was speeding. And when I questioned his authority? I was shut down and shut up, similar to my childhood experiences. There was zero room left for trust and security. So, what’s left? Panic. This police officer had triggered an emotional attack connected to traumatic baggage in my emotional closet. It was subconscious, and in the moment, terrifying. But, in taking the time to build awareness around the encounter, I was able to find the root of my emotions. I was able to uncover the past experience and tie the two together. In drawing connections, I was able to do the work necessary to take the power away from that encounter and that police officer. I was able to take my power back. At the end of the day, we can use today’s triggers to heal past pains. We can create ease around difficult encounters when we begin to understand that often, it has nothing to do with that situation or that specific person, but instead has everything to do with an emotional history that we must embark on healing. So why not become the observer of your pain so that you can take the path toward healing? Need a hand in pinpointing the triggers in your life? 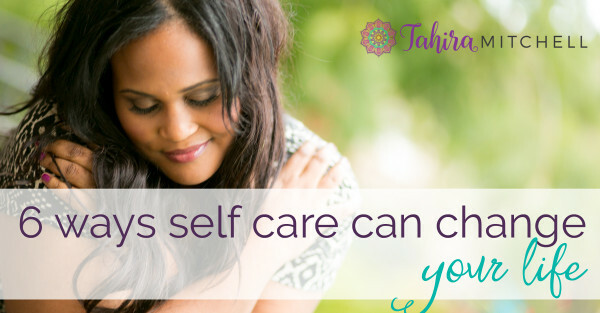 Sign up for a 90-minute triggers assessment with me Tahira, your life-healing coach, to help you uncover the dormant emotions in your life. Let’s launch your healing, shall we? Have you experienced crippling emotion tied to a childhood memory? How did you uncover the trauma? I’d love to hear you story in the comments section below.